Pixelfy is a pretty easy design platform, even a common man can design awesome presentations, cover photos, posters, invitations, etc. It’s a huge library of professionally designed presentation templates with most of them free. It provides the combined effect of Photoshop & PowerPoint, so it’s extra powerful yet very convenient to use. 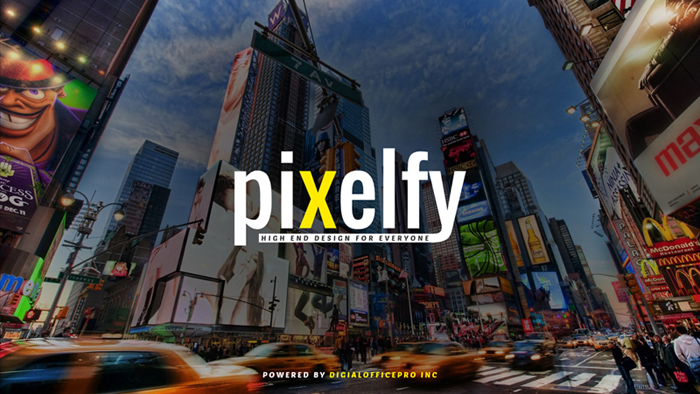 Pixelfy comes with amazing themes, stock photos, and stickers, etc. to see how you can make the presentation interesting and simple. Works reliably on any browser. By using Pixelfy you stay away from complicated technologies that put design out of reach for common people.